ABii National has been providing funds to individuals and SMEs in Ghana since 2011. ABii is licensed under the Non- Banking Financial Institutions Law of 2008. Consequently, it offers its services under the supervision of the Bank of Ghana. ABii is one of the few institutions that is actively striving to lower interest rates for borrowers. 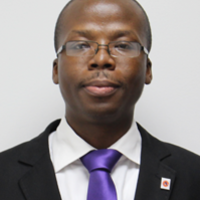 Noah Otuteye is the Head of Finance at ABii and started his career at Ernst and Young Ghana. Following this he worked at the Bank of Africa. He has broad experience as a Finance & Treasury Manager. Ghana has been one of the more stable countries in Western Africa, both politically and economically. The economy of Ghana is rapidly growing and the average income is higher than in neighboring countries. Until 2010 Ghana mainly received hard currency through the export of gold and cacao. More recently timber, diamonds and bauxite have also started becoming export product. Agriculture remains important for Ghana. Self-sustaining agriculture amounts to 35 per cent of the GDP and provides work to about 75 per cent of the working population. The industrial sector mainly serves the domestic market of 24 million with a disposable income of 700 dollars per person. Ghanaians living abroad are also an important economic factor. There is a strong bond between Ghana and the Netherlands. Until 2008 the Netherlands was the main export partner of Ghana.